Back on Black Friday I made my first purchase from Delonna. I bought a pair of Mad Hatter earrings and a ring. I love them both. I wear the earrings a lot so chances are if you know me outside of the blog and have seen me recently- you have seen her handy work. 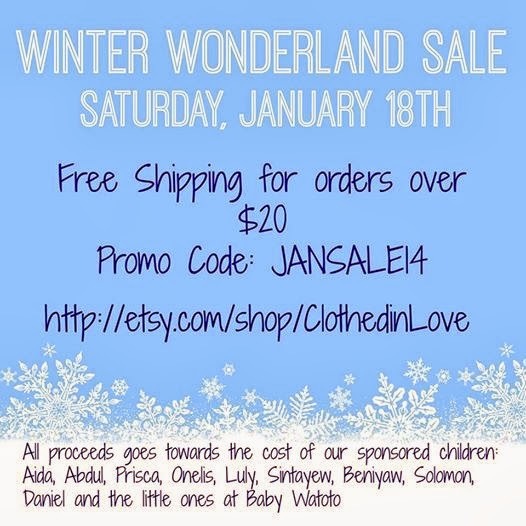 Delonna is re-opening her shop this Saturday, January 18th for a Winter Wonderland sale. She has been showing some of the merchandise for the sale on her Instagram account. I am excited to see what else she has in the store. So if you like to wear handmade jewelry, stock up on unique gifts for family and friends, or just like to support great causes, I encourage you to head over to her shop and buy, buy, buy!!! !